Sign the petition to #FreeAlejandro! Alejandro was pulled out of his car by armed undercover agents and arrested in front of his wife. Sign the petition to release Alejandro back to his family and community! Click "Read More" for more information. 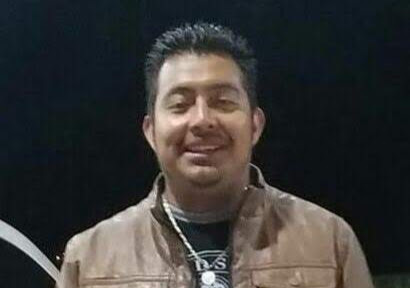 This past Sunday, armed undercover ICE agents pulled 25-year-old farmworker Alejandro Hernández Ventura out of his car and arrested him in front of his wife. He is now being held in detention on $8,000 bond and is at risk of being deported. Shortly after leaving their home on a Vermont dairy farm, Alejandro and his wife noticed their car being followed. The undercover ICE vehicles soon flashed their lights and pulled the car over. The agents surrounded the car, shouting in English and refusing to identify themselves. When Alejandro's wife took out her cellphone -- saying she wanted to call her lawyer -- an agent snatched it out of her hands. Agents pulled Alejandro out of the car, handcuffed him, and drove him away. When Alejandro was sixteen years old, he left his home in Mexico to come to Vermont. The eldest son, he began working on dairy farms and sending money back to his family. Because of Alejandro's sacrifice, his two younger siblings have been able to stay in school. Since his grandmother fell ill several years ago with complications from diabetes, Alejandro has provided the funds needed for her medical care. Alejandro's arrest has left his wife grieving and traumatized. While people of conscience everywhere justly express our outrage about the appalling separation of families along the southern border, we must not forget the ongoing separation of families throughout the country from ICE detention and deportation. Alejandro has lived and worked in the U.S. for nine years without incident; he has never been arrested or had any previous contact with ICE. Tell Immigration and Customs Enforcement that you oppose this unjust arrest and demand freedom for Alejandro!